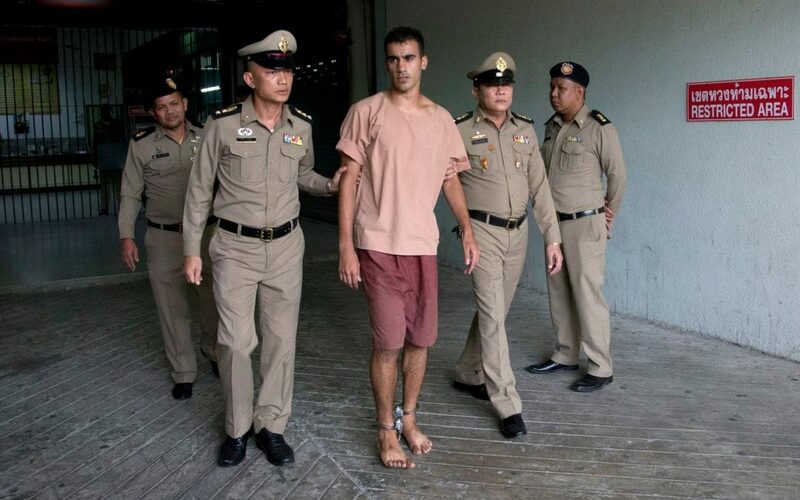 The refugee Bahraini footballer Hakeem al-Araibi whose detention in Thailand sparked an outcry has been freed from jail in Thailand. He is set to return to Australia on Monday night after Thai authorities withdrew extradition case against him. The decision comes after the 25-year old footballer was jailed in Bangkok’s Klong Prem Remand Prison for weeks. He had spent more than 70 days in detention after traveling to Bangkok for the honeymoon on November 27th. He was arrested after Bahrain issued an Interpol red notice arrest warrant against him. Despite a mounting international scandal, Bahrain remained firm on its allegations against the footballer before Monday. Al-Araibi was jailed and beaten in Bahrain during a crackdown and later sentenced to absentia for 10 years for the act of vandalism which he could not have committed since he was playing a televised football match. Thai authorities confirmed that Bahrain was no longer interested in this request. Australian Prime Minister Scott Morrison told the media in Canberra that he thanked Bangkok for “listening to the issues” that they rose. Al-Arabi plays for Pascoe Vale FC in Melbourne after Australia granted him refugee status in 2017.